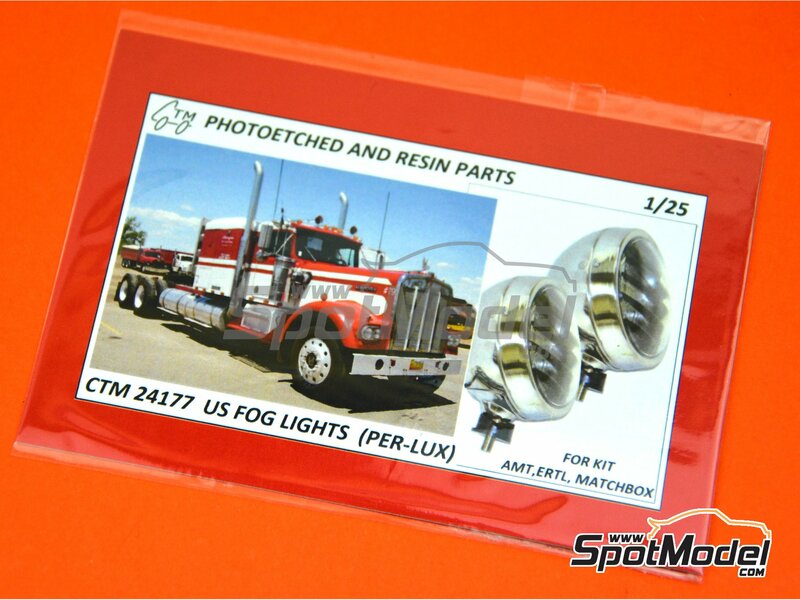 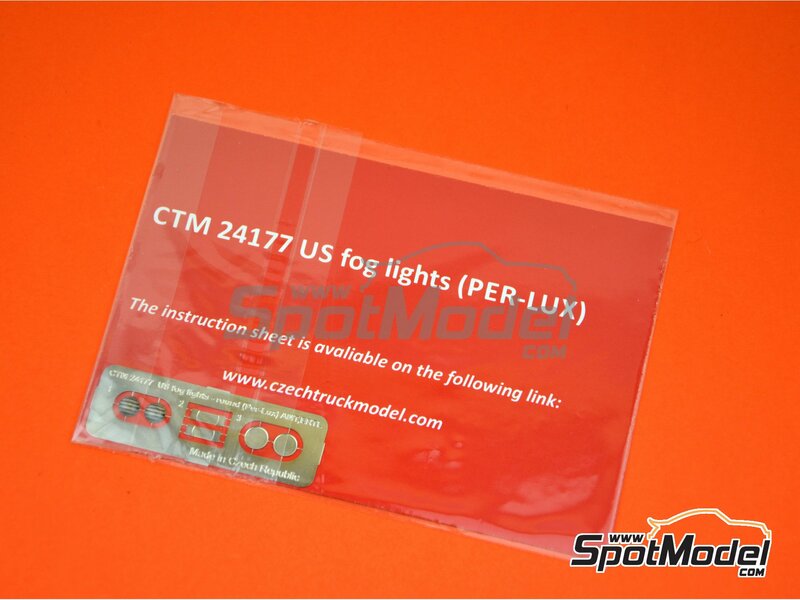 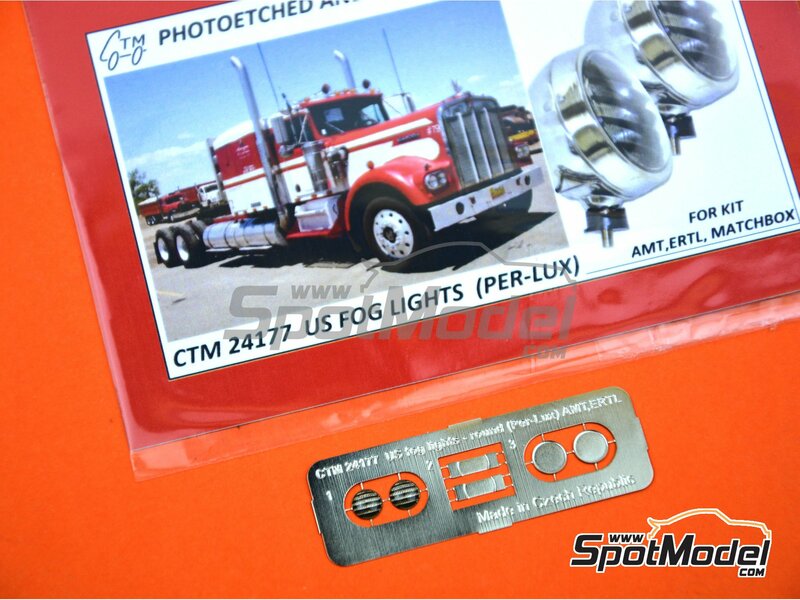 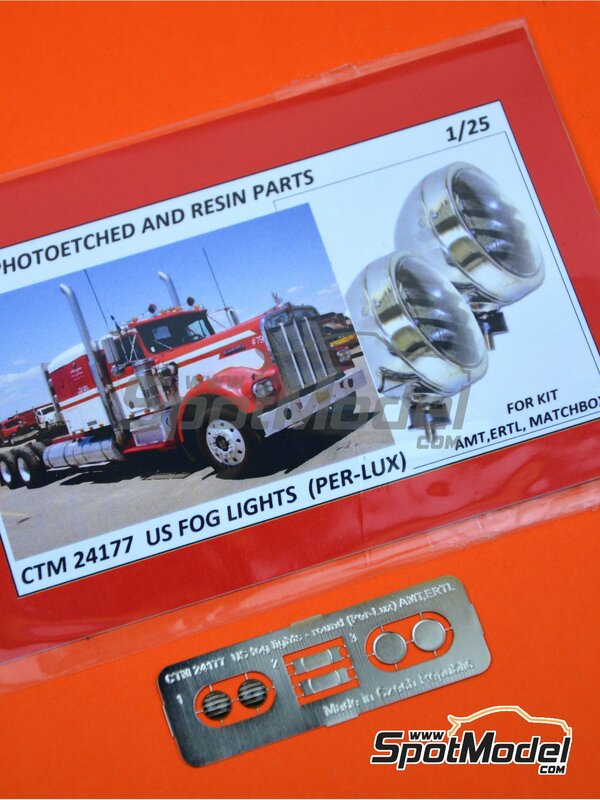 Two fantastic PER-LUX round fog lights, like the ones used in American trucks. 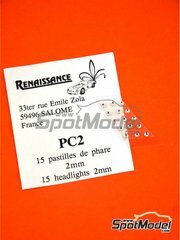 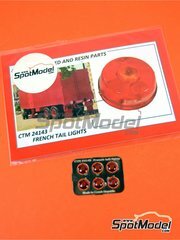 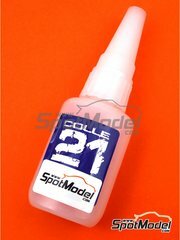 Manufactured by Czech Truck Model in 1/24 scale with reference CTM24177. 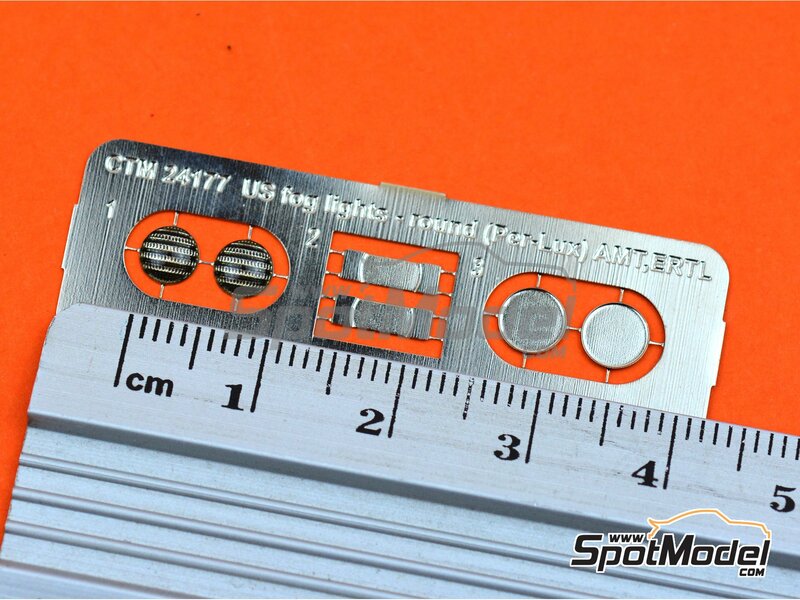 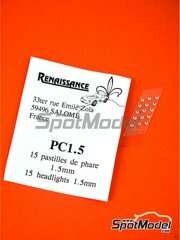 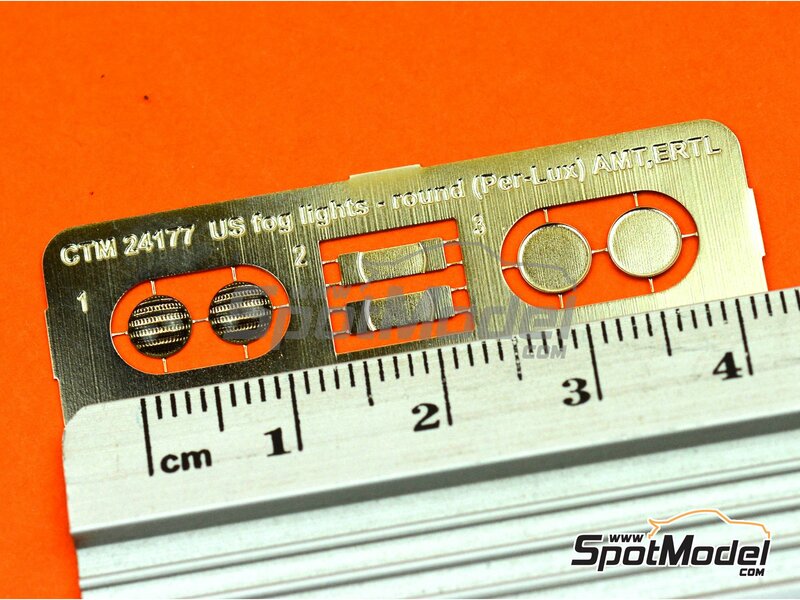 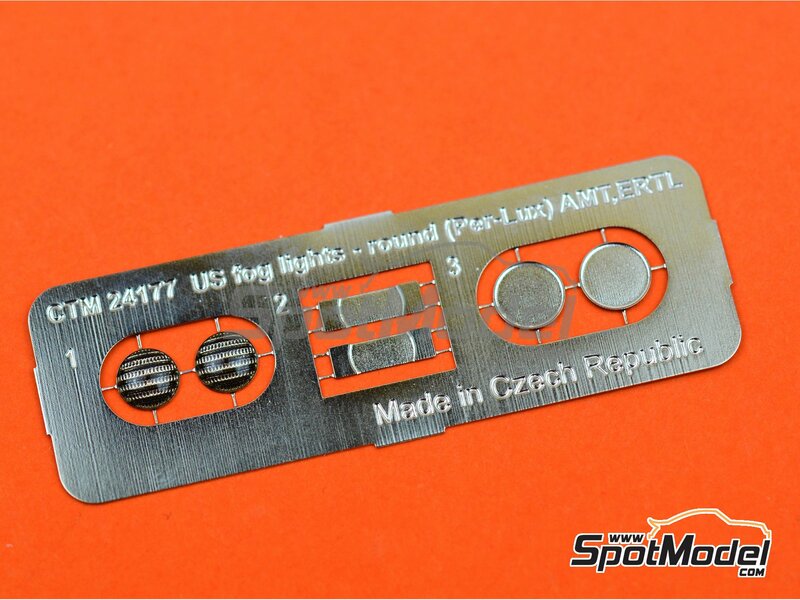 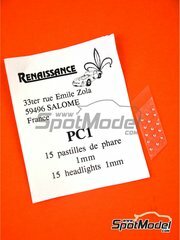 Package measures 80 mm x 110 mm x 1 mm (width x depth x height), weighting 3 g.